One of the most valuable assets you have is your earning ability: your ability to do something that other people will pay you for. The greatest financial responsibility of each person is to organize their time and work so that they earn the very most possible throughout their lifetime. Earn What You're Really Worth will show you how. Let Brian Tracy teach you how to organize your life to assure that you earn the very maximum at every stage of your career and experience the satisfaction that comes from living up to your potential and achieving your dreams. 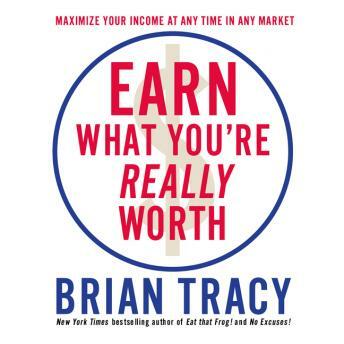 Earn What You're Really Worth is for every person who works in any competitive industry, including staff members or executives who want to earn more money; people in job transition; students entering the workplace; and every unemployed person who wants to get back into the workforce.